Fee: $5.00 per child for supplies; pre-registration required by the Wednesday before the program date. Space is limited. Call 256.782.5697 or email fieldschool@jsu.edu for details. 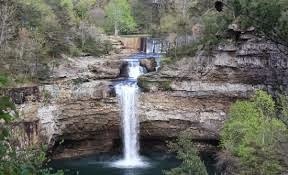 Join staff & volunteers for a fun day of hiking thought-out the park to see some of DeSoto’s waterfalls, big & small. See Lost Falls, Laurel Falls, Indian Falls, Lodge Falls, even more water features like Laurel Creek & the West Fork of Little River. Enjoy the scenery of DeSoto State Park while burning some calories at the same time! Moderate Terrain over 5 miles. Options afterwards to drive to DeSoto Falls, 7 miles from the main park area. Fee: Free & open to everyone. Might not be suitable for younger children. Pets welcome on leash. Call 256.997.5025 for details. WEATHER: As with all outdoor events, if it's raining/stormy or very poor trail conditions, we may have to cancel. If the weather is questionable, please check with the park(256.845.0051) before leaving home. Please make every effort to arrive early or on time so that you do not hold up the group. Fee: $38.00 per ornament. No pre-registration required. At least 5 years and up. Custom reservations can be made for groups anytime. Call 256.523.3188 or emailinfo@orbixhotglass.com for details. Custom reservations can be made for groups anytime. Call 256.523.3188 or emailinfo@orbixhotglass.com for details. Fee: $75.00 per person. Minimum age is 13 & up. Pre-registration is required. Custom reservations can be made for groups anytime. Call 256.523.3188 or emailinfo@orbixhotglass.com for details.